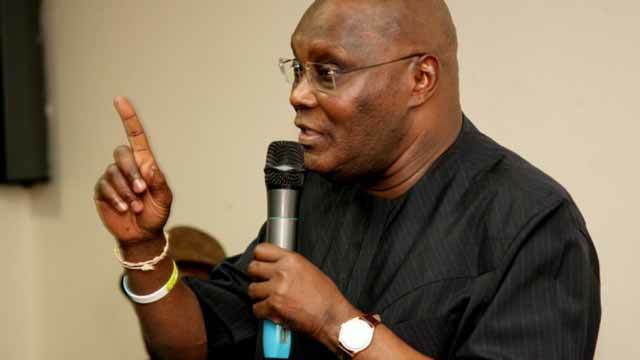 Former Vice President Atiku Abubakar has debunked media reports that he will be in the United States later this month, . Reports during the weekend said Mr Abubakar would speak at the African Trade and Investment Global Summit (ATIGS) scheduled to take place in Washington D.C. The organisers listed Mr Abubakar’s name as number one amongst dozens of personalities they said had been invited to the event. Governors Nyesom Wike and Ibrahim Dankwambo, Deputy Senate President Ike Ekweremadu and Trade and Investment Minister, Okechukwu Elelamah, are amongst those also said to have been invited. Mr Abubakar was named in a contract scandal involving Nigerian and American officials in the mid-2000s. Williams Jefferson, a serving U.S. federal lawmaker at the time, was arrested, prosecuted and sentenced to jail for his involvement in the fraud, which was largely about bribery, influence-peddling and contract inflation. Despite claims that Mr Abubakar was involved in the scandal, including a U.S. Senate investigative committee report, the Nigerian politician continues to maintain his innocence. The U.S. Senate report and several other exhibits that led to the successful conviction of Mr Jefferson, who was Mr Abubakar’s political associate, are largely seen as the reason he could not travel to that country. Mr Abubakar, who is a strong contender for Nigerian presidency in 2019, frequently travels to the United Arab Emirates and some Western countries. He recently acknowledged that he has difficulties visiting the U.S., but said he should not be blamed for the dilemma. He said he applied for the U.S. visa on past occasions, but was denied each time. He has rejected insinuations that his failure to enter the U.S. could damage his political ambition, saying the Nigerian Constitution does not require that a citizen must be able to enter the U.S. to be eligible for elective office. Moreover, Mr Abubakar said some Nigerian leaders have been denied entry into the U.S. in the past and later became president, including President Muhammadu Buhari whom he said was banned for 15 years. Mr Buhari has denied this claim, saying Mr Abubakar should go and clear his name. The U.S. Embassy in Abuja refused to comment on the controversy for several years.